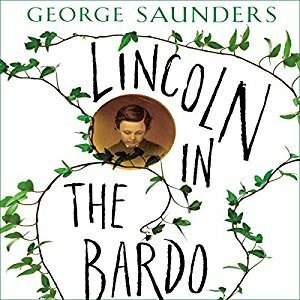 I'm reading Lincoln in the Bardo. An exceeding tall and unkempt fellow was making his way toward us through the darkness. This was highly irregular, it was after hours the front gate would be locked. The boy had been delivered only that day, that is to say, the man had most likely been here quite recently--that afternoon. The gentleman seemed lost, several times he stopped, looked about, retraced his steps, reversed course. Oh, Abraham! He had such a capacity to love. There's a long letter on display at the Lincoln Library in Springfield. Handwritten by the President elect. It was instructions to the family taking the Lincoln's dog. Fido was afraid of train whistles and Abe thought that riding the rails to DC would be torture for Fido so they left him behind. That with everything on his mind -- leaving Eddie's body, free vs. slave states, foreign relations ... (Hell, you're a history teacher! You know what was on his plate better than I do!) And yet he took the time to detail the care of the family dog. I find that so moving. So I suspect his book would leave me a puddle. Love the prose!! Happy weekend!